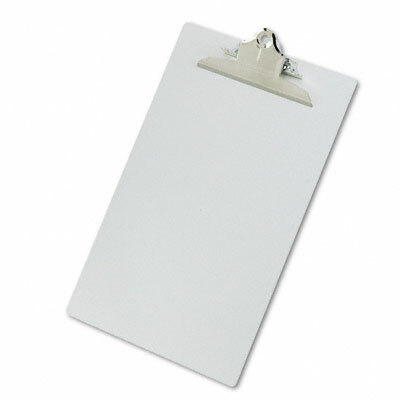 Ideal for healthcare professionals or any controlled environment. Antimicrobial additive reduces the formation of bacteria and fungi. Aluminum with a stain and water-resistant finish. Rounded corners and smooth edges. Built-in hanging hole. 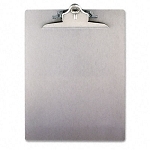 Holds Paper Size: 8 1/2 x 14; Clipboard Actual Size: 9w x 1 3/4d x 15 1/4h; Clipboard Material: Aluminum; Clip Capacity: 1 in.